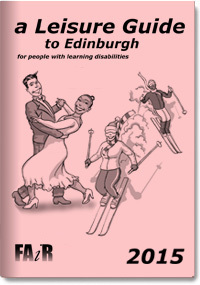 A directory of places and people that provide leisure activities for people with learning disabilities, in and around Edinburgh. Please note - We are no longer funded to keep this guide up to date. The information was correct at the time of publication in 2015 but we can't guarantee that all the information in it is still accurate.